Silicon Labs offers a variety of embedded modules and development kits, including Sub-GHz wireless products, multi-bands and multi-protocol products for your IoT needs. The Blue Gecko Bluetooth Smart SoCs are a clear stand out in this family. The Blue Gecko’s wireless SoCs runs Bluegiga and provides developers with a flexible environment, allowing ease of use for program profiles and applications.The Blue Gecko SoCs are based on the ARM Cortex-M3 and M4 cores offering 128–256KB flash sizes with 16–32KB RAM sizes. Essentially, the Blue Gecko’s EFM32 MCU architecture combined with a 2.4GHz transceiver and other features such as the balun and power amplifier provide an array of low-energy peripherals as well as Silicon Labs peripheral reflex system (PRS) for autonomous peripheral operations. The PRS system allows you to run various peripheral modules that directly communicate without the CPU being involved. The peripherals running PRS on the Blue Gecko board are superb with energy management of timers and triggers, I/O and serial pins, on-chip crypto acceleration and radio, all while being extremely energy efficient. What makes this board so unique is partly due to the design flow, neither the MCU or radio is tied to the back and forth processing between the wireless function and MCU portion in the SoCs, thus making it one of the fastest low power BLE’s out there. The Blue Gecko is perfect for more advanced wearable projects that are connected to phones, or that don’t need an external MCU or displays. It’s also great for any IoT project you’re thinking of tackling with room for development. 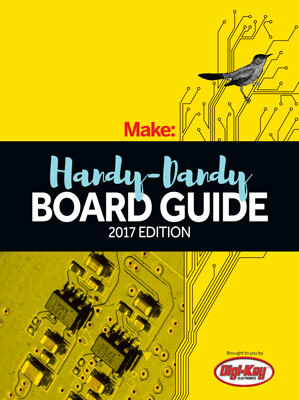 The board has a temperature sensor, display, joystick, and a 3V coin cell battery holder to power the board when not using USB as well as the smart modules.